SKU: 2-E019. Categories: Other Products, Sanitation. Snap-On Toilet Lid fits on any standard size 5 or 6 gal. pail converting it into a portable toilet. The seat uses a simple snap-on feature to secure itself to the pail. Great for camping and home emergencies. Extra sanitation tissue, deodorant, and other supplies can be stored inside for compact storage. 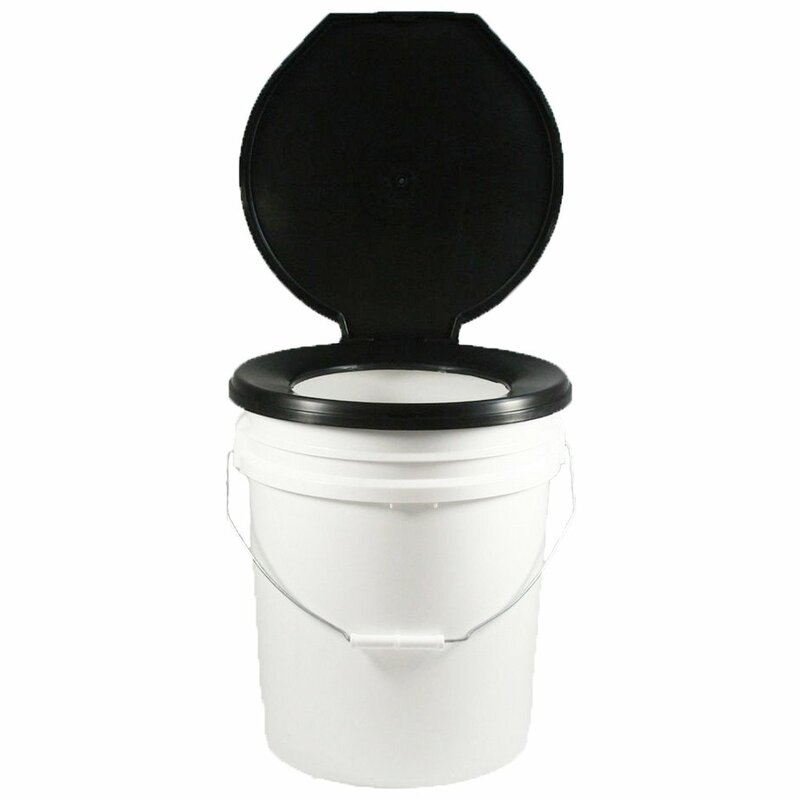 Our standard 5-gallon high-quality food grade grab bucket is the strong base for this portable toilet which comes with a toilet lid conversion that makes the bucket into a portable toilet. It is great for camping and emergencies when running water is unavailable. The portable toilet works hand in hand with the toilet bag with deodorant which helps keep the inside of the bucket clean and able for use even after you’ve done your business.